Home Hello Hygiene QUIZ: Test Your Oral Cancer Knowledge! Test Your Oral Cancer Knowledge! 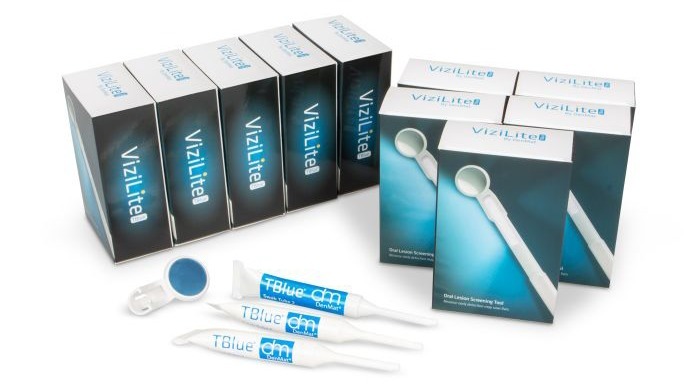 Take this quiz to test your oral cancer knowledge and then enter to win 30 packs of ViziLite® TBlue Annual Oral Cancer Screening System (3 boxes of 10). ViziLite® TBlue Annual Oral Cancer Screening System helps oral healthcare professionals identify, evaluate, monitor and mark abnormal oral cell lesions suspicious for pathology. This includes precancerous and cancerous cells that may be difficult to see during regular visual exams. 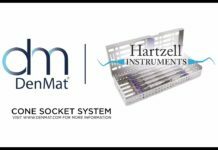 A quick and easy-to-use system that incorporates seamlessly into your standard visual examination with a simple 2-minutes procedure. A small device that enables easier access to see and focus light inside the oral cavity. 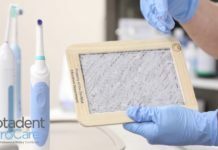 Disposable technology that eliminates cross-contamination and improves infection control. Patented and clinically-proven technology that has helped healthcare professionals for more than a decade. Now let's test your oral cancer knowledge! The overall risk for cancer of the mouth is relatively small. As of 2011, the American Cancer Society predicted lifetime risk of oral cancer to 1 in every 152 females and 1 in every 71 males. Although oral cancer detection is a chief concern and component of every dental examination, the overall risk for cancer of the mouth is still relatively small. As of 2011, the American Cancer Society and National Cancer Institute predicted lifetime risk of oral cancer to 1 in every 152 females and 1 in every 71 males. However, the five-year survival rate is at 53%. This poses a significant difficulty as survival rates have only marginally improved over the last 50 years when compared to other types of cancers. Truelove EL, Dean D, Maltby S, Griffith M, Huggins K, Taylor S, et al. (2011). Narrow band (light) imaging of oral mucosa in routine dental patients. Part 1: Assessment of value in detection of mucosal changes. General Dentistry. 281-291. When used to detect oral lesions, which tool detects the majority of high-grade oral premalignant lesions and can potentially play a valuable role in the delineation of surgical margins? 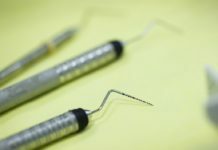 There are many methods to assist in detecting premalignant oral lesions including a visual inspection that notes the color and size of the lesion, as well as other methods that require special tools and training. One such method is an assessment of toluidine blue stain retention which stains nucleophilic tissue components (like DNA). 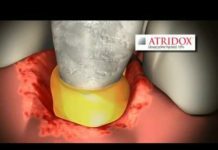 However, direct fluorescence visualization has the ability to reveal additional information, including the majority of high-grade oral premalignant lesions as well as help to delineate the margin of the lesion. Williams PM, Poh CF Hovan AJ, et al. (2008). Evaluation of a Suspicious Oral Mucosal Lesion. JCDA. 74(3):275-280. Conventional visual examination and palpation is no longer the best way to identify and detect oral mucosal lesions. 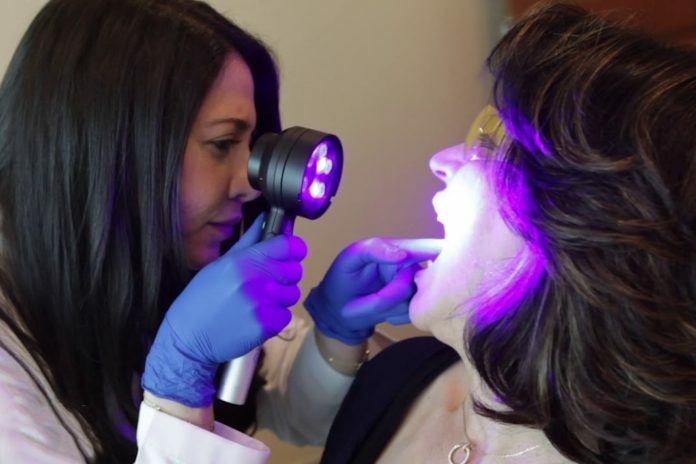 Chemiluminescence has been shown to be a great tool to assist in identifying mucosal lesions typically not considered under conventional visual examination. Even though there are many technological advances in oral cancer detection, conventional visual examination and palpation is still the gold standard. Adjunct tools such as chemiluminescent light sources that use toluidine blue have been shown to be an effective way to assess the lesion further. 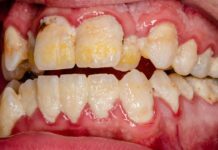 Using chemiluminescence improves the brightness and sharpness of the lesion’s margin and may, therefore, assist in the identification of mucosal lesions that were not considered under the conventional visual examination. Epstein JB, Silverman SJ, Epstein JD, Lonky SA, Bride MA. (2007). Analysis of oral lesion biopsies identified and evaluated by visual examination, chemiluminescence, and toluidine blue. Oral Oncology. 1-7. The lifetime risk of developing oral cancer is less than the lifetime risk for cancers of the brain, esophagus, and lymphomas. The lifetime risk of developing oral cancer is greater than the lifetime risk of cancers of the brain, esophagus, and lymphomas. Coincidentally, the latter cancers often receive frequent publicity as important risks for a reduction in life expectancy; whereas, oral cancer rarely does. Important risk factors of oral cancer include age, ethnic status, tobacco use, excess alcohol consumption, and family/personal history of cancer. Similar to other types of cancer, early detection and treatment will lead to better survival rates. Truelove EL, Dean D, Maltby S, Griffith M, Huggins K, Taylor S, et al. (2011). Narrowband (light) imaging of oral mucosa in routine dental patients. Part 1: Assessment of value in detection of mucosal changes. General Dentistry. 281-291. Approximately how many patients are diagnosed with oral cavity or oropharyngeal squamous cell carcinoma in the United States each year? According to a 2007 study published in the Journal of Oral Oncology, approximately 30,000 patients are diagnosed with oral cavity or oropharyngeal squamous cell carcinoma in the United States each year, accounting for 3% of all cancers. Overall, 40% of newly diagnosed patients will die within five years. Of all the risk factors, tobacco use has been implicated in 90% of all oral and pharyngeal cases and can increase the cancer risk by 8-20 times.